There's a new coupon in the Websaver Kelloggs coupon portal! 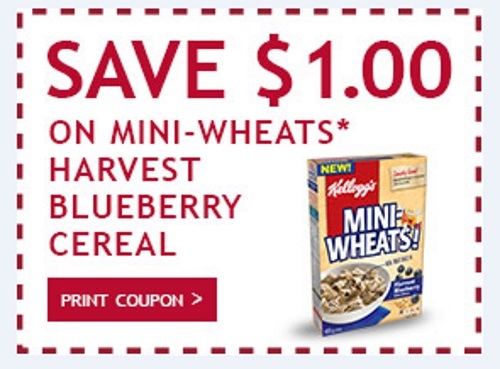 Save $1 off when you buy a box of New Kelloggs Mini-Wheats Harvest Blueberry & Red Wheat Cereal 405g. This a print coupon, available while quantities last.